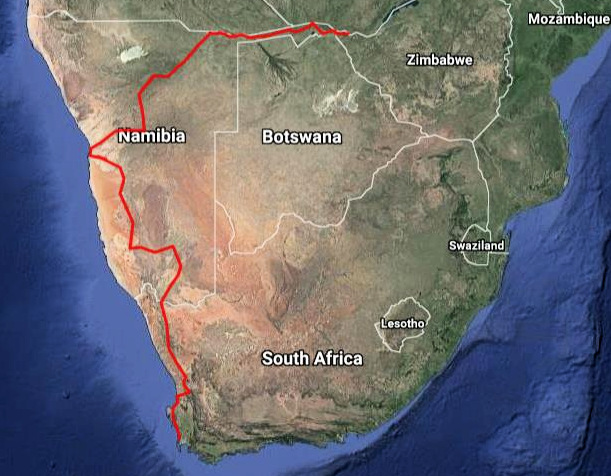 The ride which started from Nobel Square at the Waterfront in Cape Town on 19 February included crossing the Namib Desert in Namibia.The ride took a total of 77 days of which 49 were ride days and 28 were non ride days. 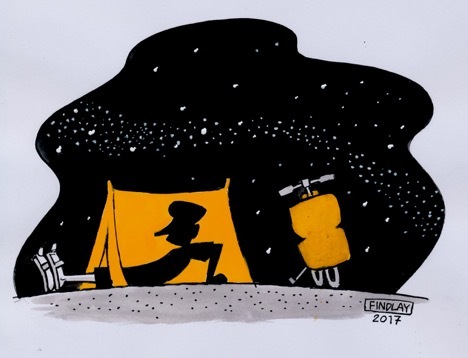 Of the 28 non ride days 23 were rest days and 5 were waiting for rain, wind to stop or to meet with important people. 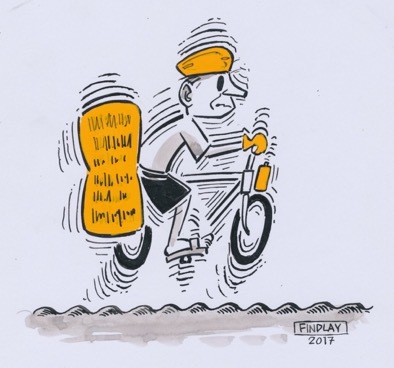 Carrying a kit of 37 kg an average of 74 km was achieved on ride days. 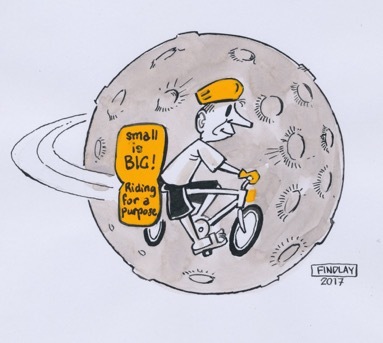 To help add some fun to the journey a series of entertaining cartoons were created and donated by Alastair Findlay to use on the regular Eelco Meyjes Facebook updates. 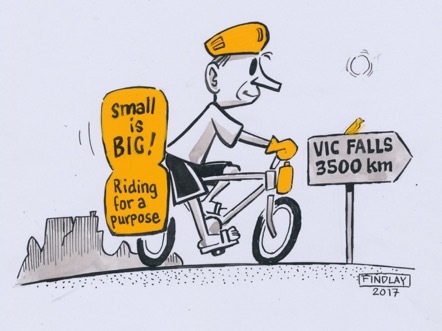 The Rare Finch Conservation Group is extremely proud to announce that the Cape Town to Vic Falls unsupported solo cycle ride via Namibia was a success. 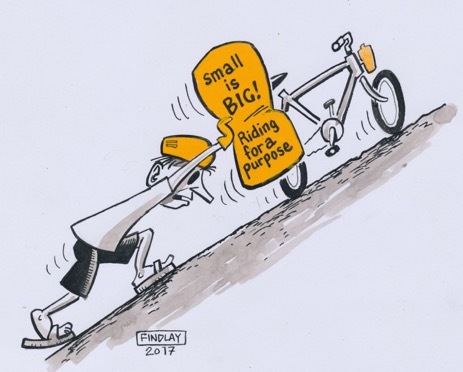 The small is BIG Riding for a Purpose was done to help raise awareness and funds for Africa’s smallest finch, the Orange-breasted Waxbill which now needs conservation help. 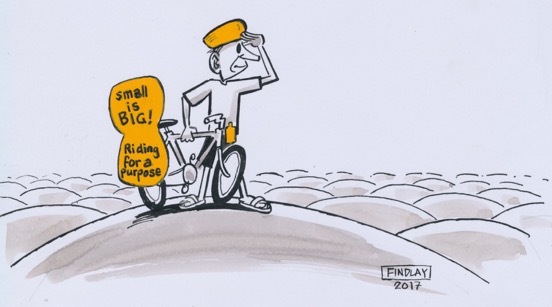 Why small is BIG ? 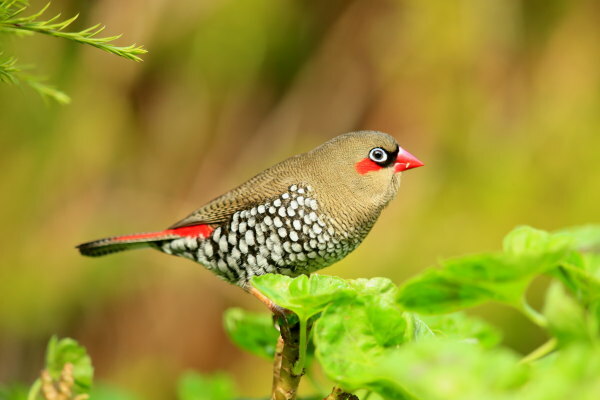 Africa’s smallest finch is a small bird with a big responsibility that is destined to make it a BIG HERO. 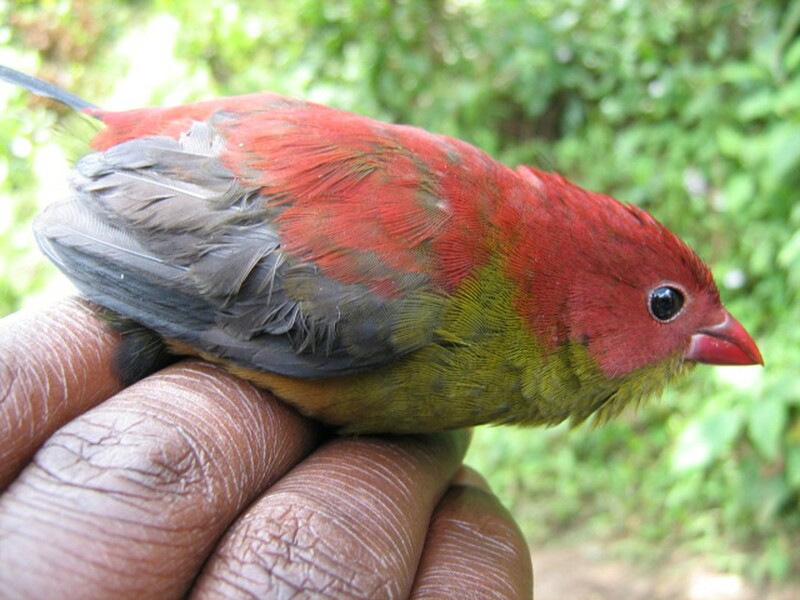 Recent unexpected declines in the Orange-breasted Waxbill (Amandava subflava) has resulted in the urgent need for the species to be researched. 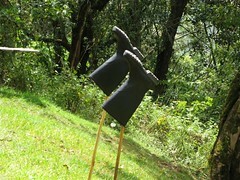 Research has already commenced to find out why the bird has become so scarce in certain parts of its natural habitat. The species has also been selected by BirdLife South Africa as a key sentinel (watchdog) bird for South African wetland bird species’ including eight threatened and 84 common bird species. 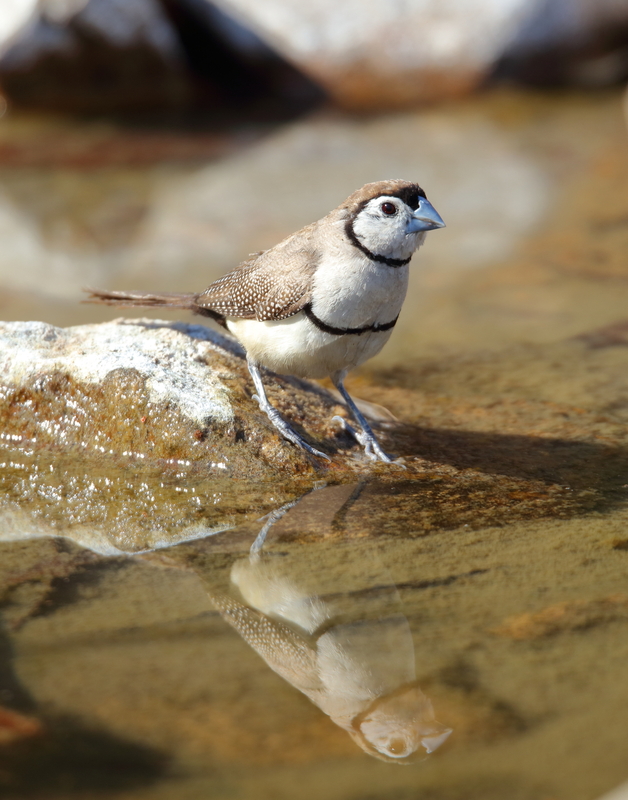 This conservation project is a proud collaboration between BirdLife South Africa and the Rare Finch Conservation Group.The eight Red-listed species, ranging from Near Threatened to Critically Endangered, plus all 84 common species will all benefit from this important conservation project. 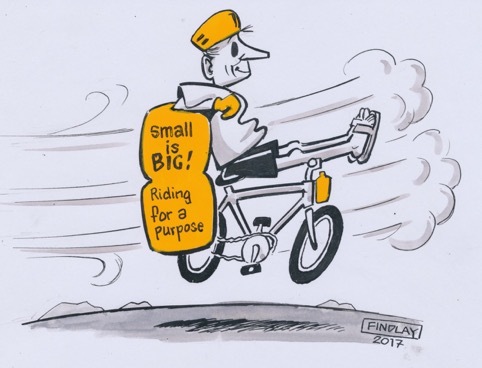 The Rare Finch Conservation Group and BirdLife South Africa would sincerely like to thank all the facilities that kindly sponsored accommodation to help make the Cape to Vic Falls small is BIG Riding for a Purpose fundraising ride a success. Okahandja Country Hotel, Central Namibia. Shamvura Camp, Rundu, Northern Namibia. Kasane Self Catering, Northern Botswana. 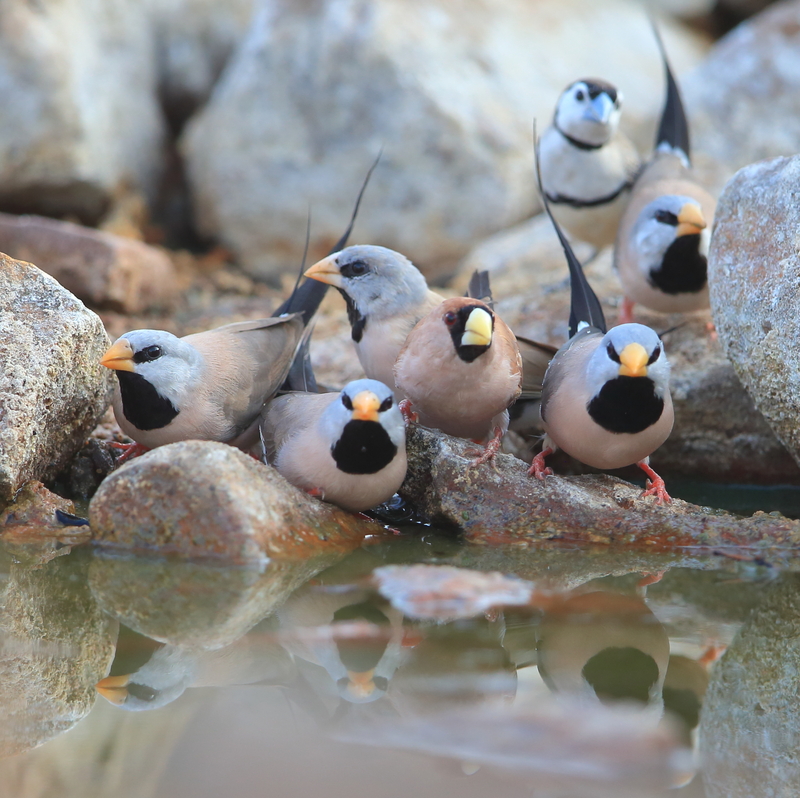 The Rare Finch Conservation Group is registered in South Africa as a non-profit organisation and is totally dependent on donors and sponsors to carry out its conservation work on finches in the wild. 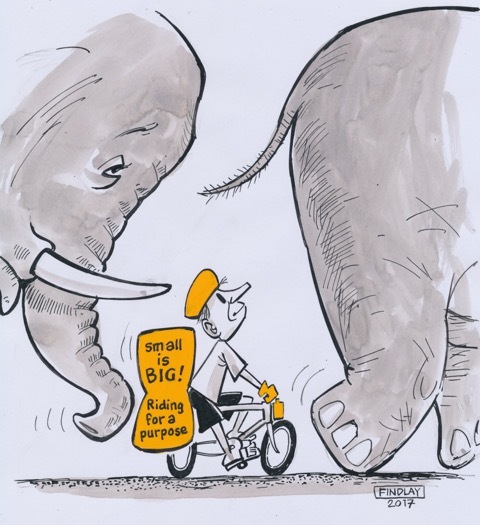 All donations will be publicly acknowledged , unless otherwise requested, on the RFCG website. Donations can be made to the following account. Rare Finch Conservation Group, Nedbank. Account number 1933 198885 Branch : Sandown 193 305 South Africa ( For international donors please add ) SWIFT NEDSZAJJ. 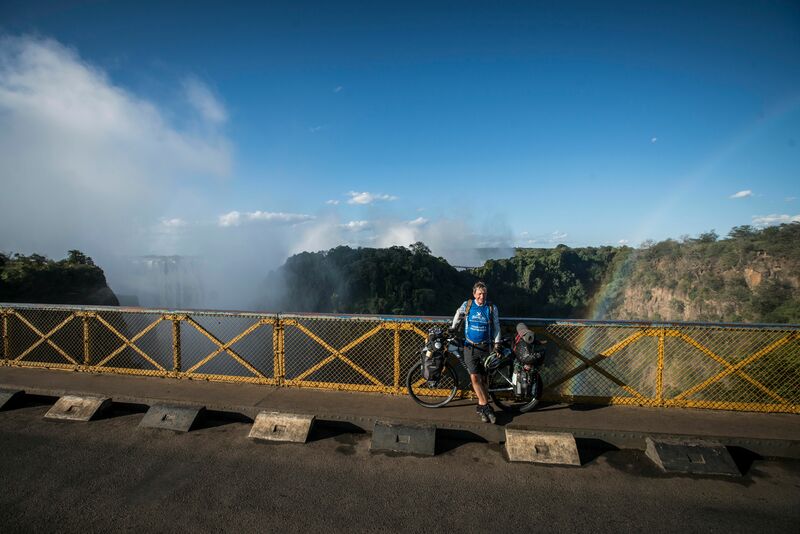 CAPE TOWN 2 VIC FALLS.Will he make it again ? 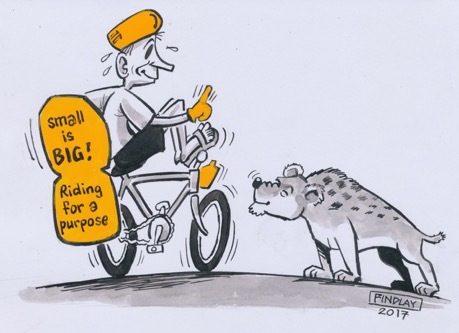 This time via a different route and a far tougher ride. Photo : Left to Right.Dr. Hanneline Smit-Robinson from BirdLife South Africa, holding Fluffy the White winged Flufftail ( In real life this bird is Critically Endangered with only 50 left in South Africa and 250 left in the world.) Alastair Findlay, the master puppet maker, holding Wandi the dopey and very funny Wattled crane ( In real life the Wattled Crane is listed as Critically Endangered in South Africa ) Right Eelco Meyjes, from the Rare Finch Conservation Group, holding Waxi, Africa’s smallest finch. 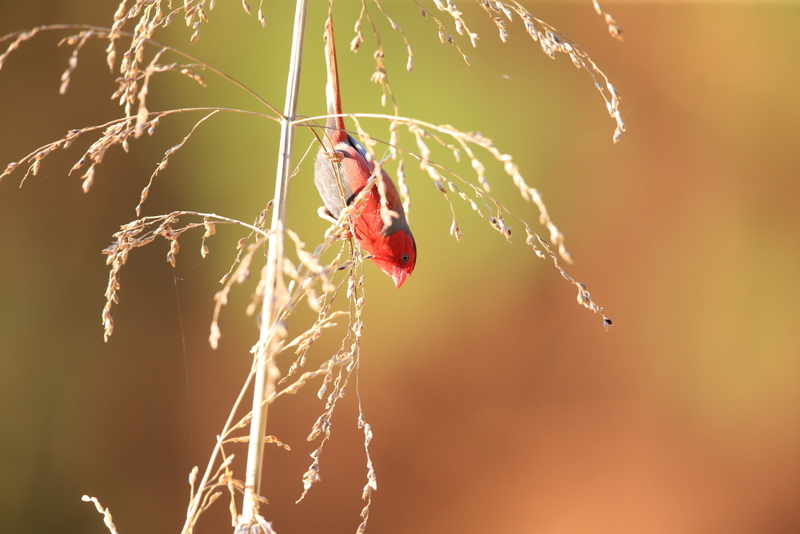 The little Orange-breasted Waxbill now needs conservation help.All the birds in the show are wetland birds and Waxi the Hero rallies them all together to help find Fluffy. The reward for finding Fluffy is chocolate eggs and in the end the children find Fluffy so they receive the chocolate eggs. 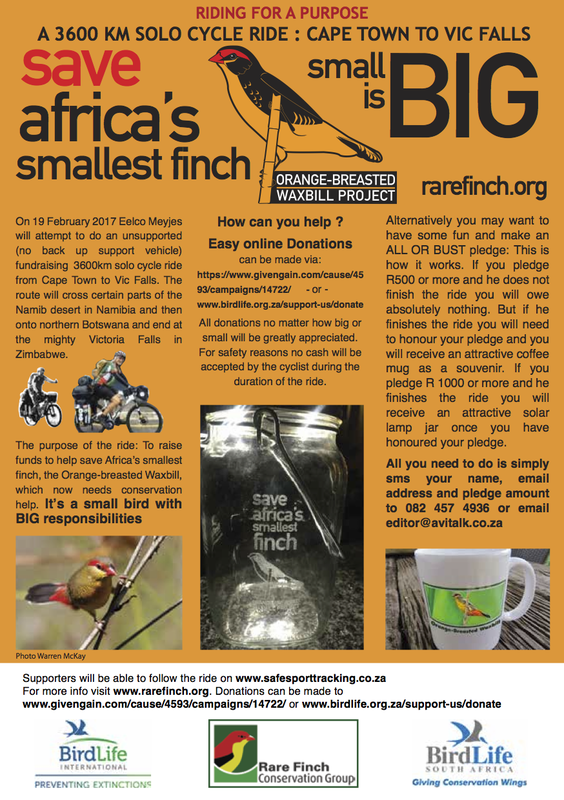 For 2017 our target is to raise R 300,000.Every donation no matter how big or small will be greatly appreciated.The money will be used to 1 ) Finance a MSc bursary student to take our research work to a level two stage 2 ) Raise awareness for the Orange-breasted Waxbill , Africa’s smallest finch, by using the Waxi the Hero puppet show concept.Successful pilot shows were recently completed in Johannesburg. 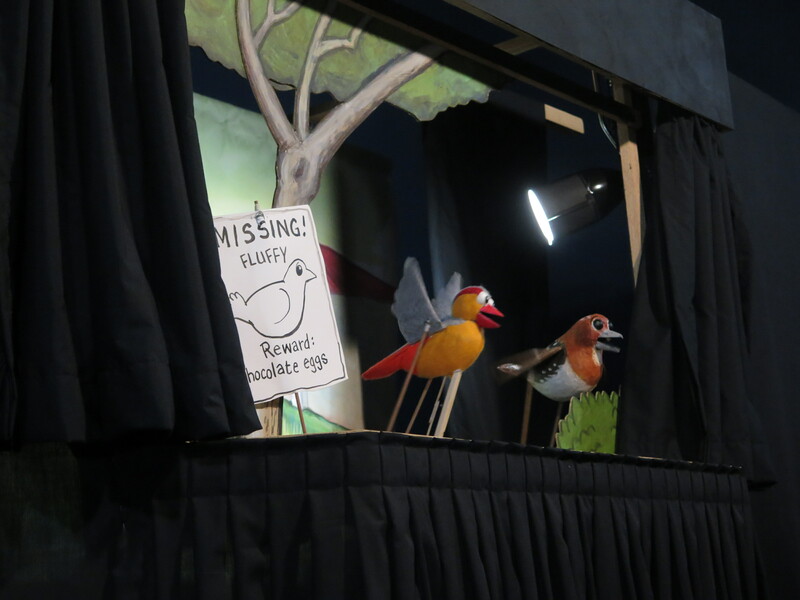 BirdLife South Africa has invited the Rare Finch Conservation Group to participate with the puppet show at the Flufftail Festival, which will be held at the Moponya Mall in Soweto, from 30 January to 6 February 2017. In addition to this negotiations are currently taking place, with a leading non-profit environmental facility, to run the shows on a daily basis as part of a schools environmental education program. This particular facility attracts 10,000 to 12,000 children a year. 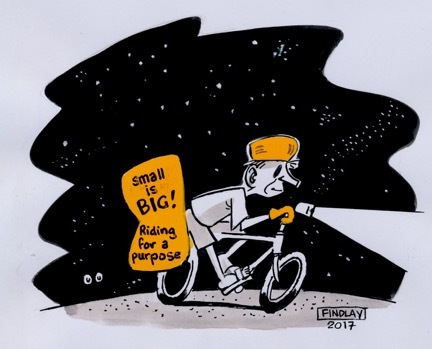 Listen to the 702 radio podcast below that was recently broadcast on what we are doing to try and help raise this substantial amount of money. 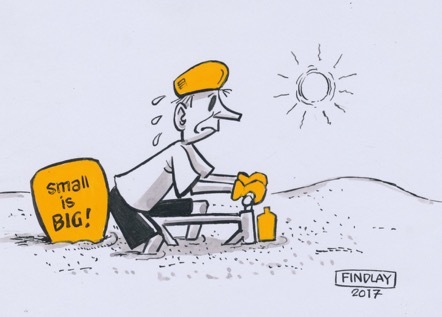 The small is BIG conservation project is a proud collaboration between BirdLife South Africa and the Rare Finch Conservation Group. Danish researcher shares two new important Shelley’s Crimsonwing photos with the RFCG! 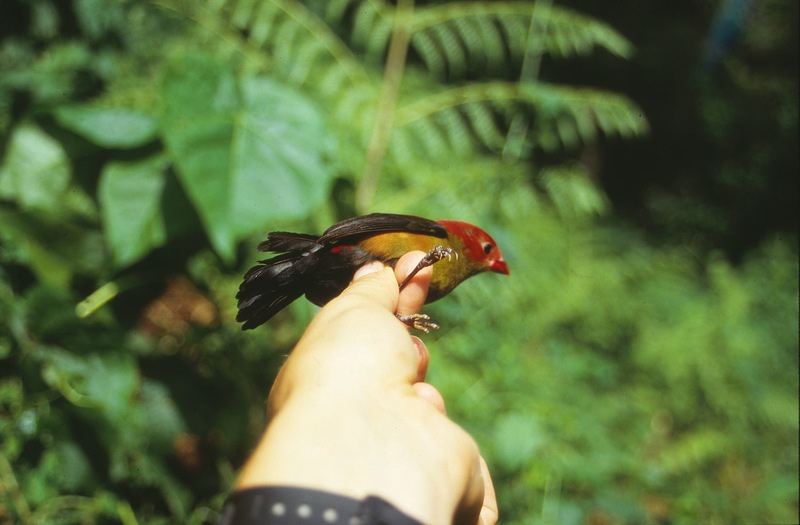 Photo 1: Side view of a male Shelley’s Crimsonwing photographed in 1996 (courtesy Morten Dehn). Eureka! 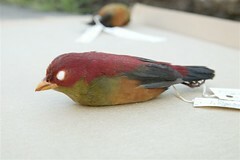 The Rare Finch Conservation group (RFCG) has received two new photos of a Shelley’s Crimsonwing! 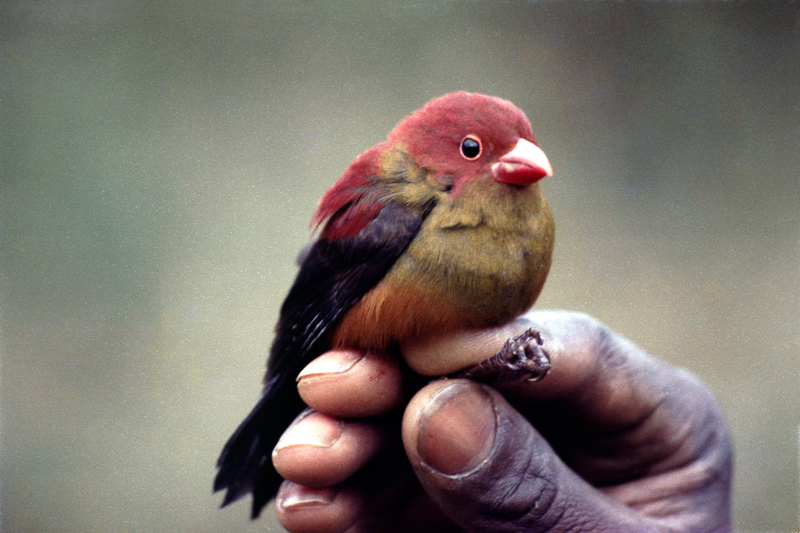 The photographs taken in 1996 by Morten Dehn from Denmark represent a valuable addition to the sparse visual evidence of Africa’s rarest finch. 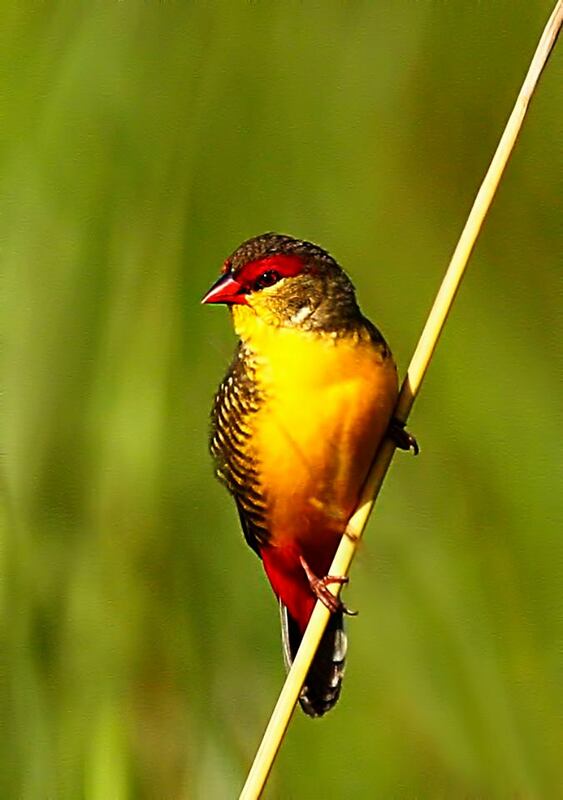 Shelley’s Crimsonwing (Cryptospiza shelleyi) is a colourful and elusive bird. Only a few people have ever seen a Shelley’s Crimsonwing in the montane forests of the Albertine Rift Valley, where it is endemic and categorized as Vulnerable by the IUCN Red List of Threatened Species, checked on July 2016. Although scientifically described more than 100 years ago (Sharpe, 1902), what we know about this bird is minimal, to say the least. 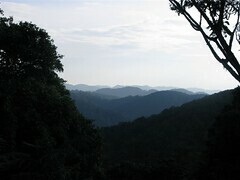 Almost nothing is known about its natural behaviour, diet and breeding ecology. 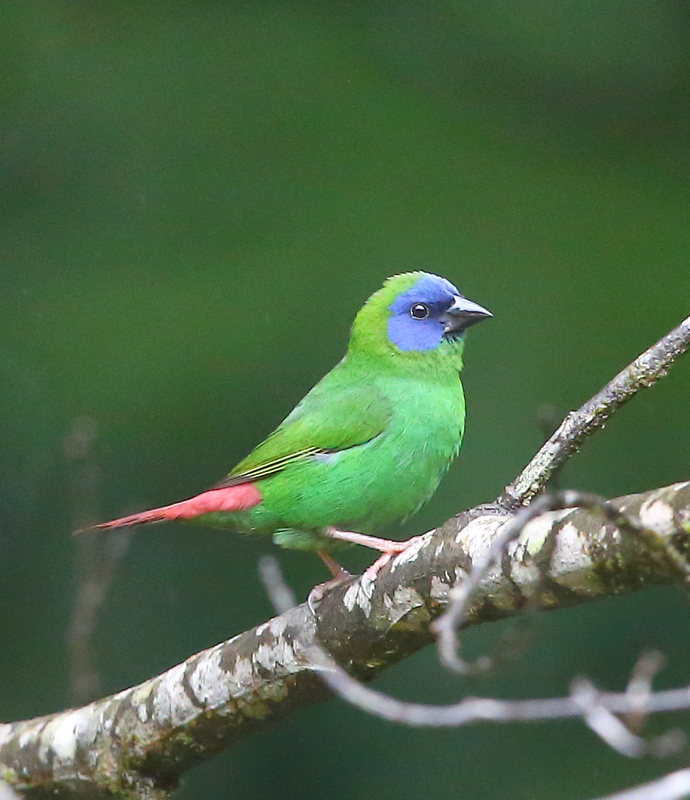 While it probably never was a very common bird, there is some evidence that the population has dramatically decreased since the 1970s; possibly because of on-going habitat destruction, but the reasons are unclear and require further investigation. 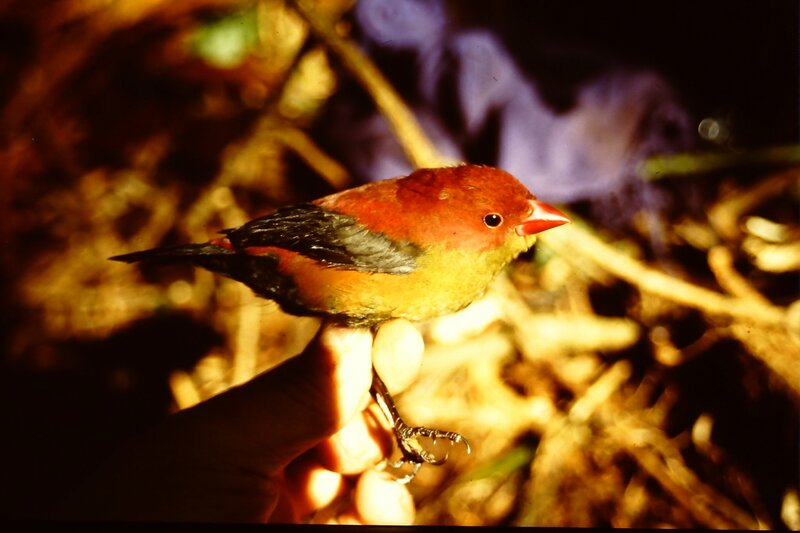 In 2005, the RFCG adopted the Shelley’s Crimsonwing as the rarest African finch to champion conservation actions and raise awareness for the Shelley’s Crimsonwing. At that time, not a single photo of a live Shelley’s Crimsonwing was known to the RFCG. Simon Espley, one of the founding members, found the first known photograph of a Shelley’s Crimsonwing on the homepage of The Gorilla Foundation (www.gorilla.org). 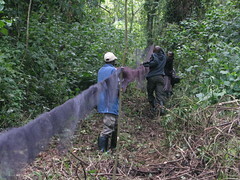 The Foundation reported that they had mist-netted and photographed a male bird in the Virunga National Park (DRC) in 2008. 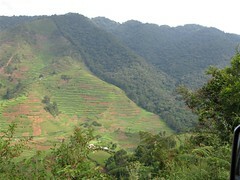 Subsequently during 2009 and 2010 the RFCG, with funding kindly received from the Hans Hoheisen Charitable Trust, started to do extensive fieldwork in search of Shelley’s Crimsonwing in the Bwindi Impenetrable Forest National Park (Uganda). Unfortunately, no Shelley’s were found. 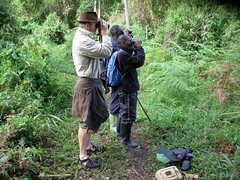 However, the attention of the first known photo and the report the RFCG published and shared with various important conservation organisations helped to raise public awareness for this species, which had been flying under the radar of many ornithologists, birders and twitchers for a number of years. Like the other known photos, the bird was again hand-held when photographed. Photo 1 shows a side view, photo 2 a more unusual angle, allowing a ventral view that shows the under parts relatively well. This might be one perspective of the bird to be seen when encountered in the wild. Despite the colourful nature of the plumage, there is no doubt that the green, yellow ochre and black under parts provide good camouflage in the dense understory where the birds seem to linger most of the time. 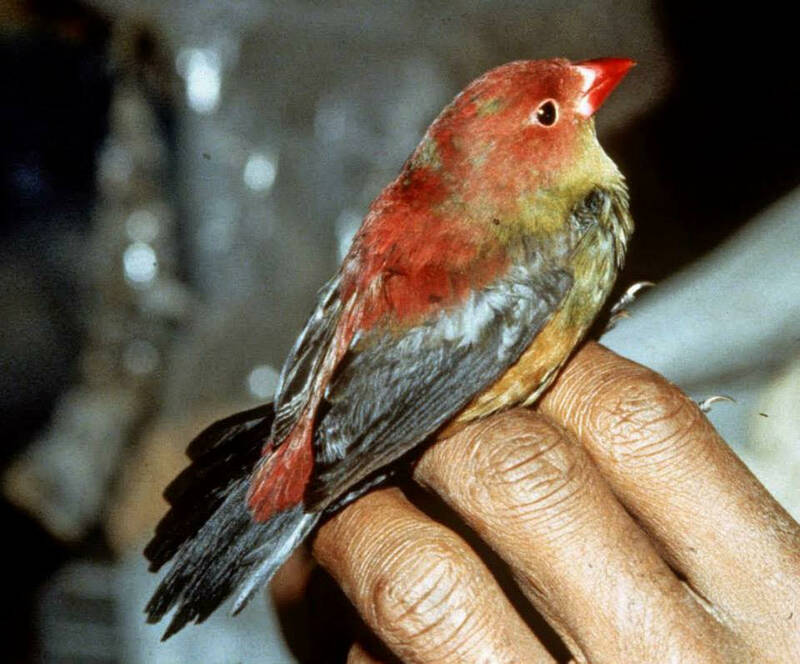 The red of the head and nape on this bird appears to be more even and continuous than what could be seen on the bird photographed by The Field Museum co-workers Willard and Gnoske in 1990 / 1991, suggesting that this may represent an older male. In particular on photo 2, the red of the head/nape really stands out and contrasts well with the greenish colour of the background. Therefore, if we were lucky enough to see a male it would probably be the red colour that would catch our attention. Although 20 years old, the photos kindly donated by Morten Dehn are a great find and confirm that awareness for this little-known species has grown and is reaching previously unknown people who have worked on Shelley’s Crimsonwing. They are able to add valuable data to our sparse knowledge. During 1990, a total of 25 birds were mist-netted, a number based on extensive research and publication consultation. Despite continuous efforts, the last 20 years have yielded only one male bird. Many experienced bird guides the RFCG talked to, who for many years have entered Shelley’s habitat every day, have never seen the species or say it’s extremely rare to see. The estimated population size as stated in the IUCN Red List fact sheet for Shelley’s Crimsonwing is still 2,500 to 10,000. Conservatively, one may assume a population decline since the 1990s, based on the RFCG’s findings and conclusion after years of research and awareness campaigns.We urgently need more insights into the actual population size and distribution of Shelley’s Crimsonwing, its diet and its natural behavior to inform further conservation recommendations before this elusive and almost unknown species vanishes in silence. Now that awareness is increasing, more people may try to take photos of a female bird, immature birds or perhaps even a nest. I cannot wait to see this. 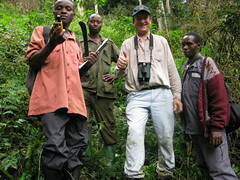 Morten Dehn of Denmark, who together with Lars Christiansen did field work to survey the altitudinal distributions of montane forest birds in the Rwenzori Mountains National Park, Uganda, back in 1996 (courtesy Morten Dehn). 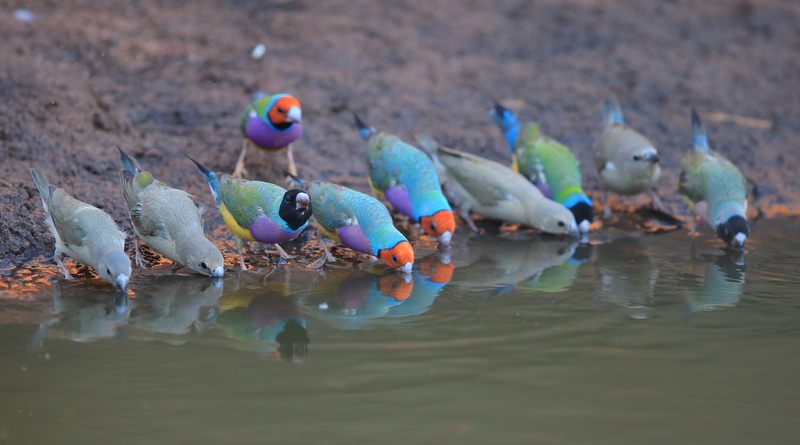 Founded in 2005 The Rare Finch Conservation Group is registered in South Africa as a non-profit organisation and is totally dependent on donors and sponsors to carry out its conservation work on finches. 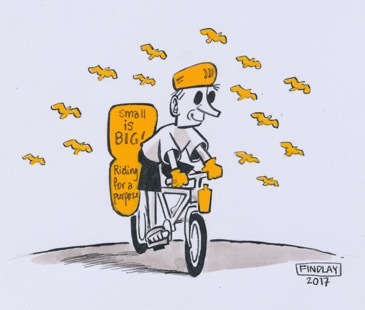 All donations will be publicly acknowledged , unless otherwise requested, on the RFCG website. Donations can be made to the following account. 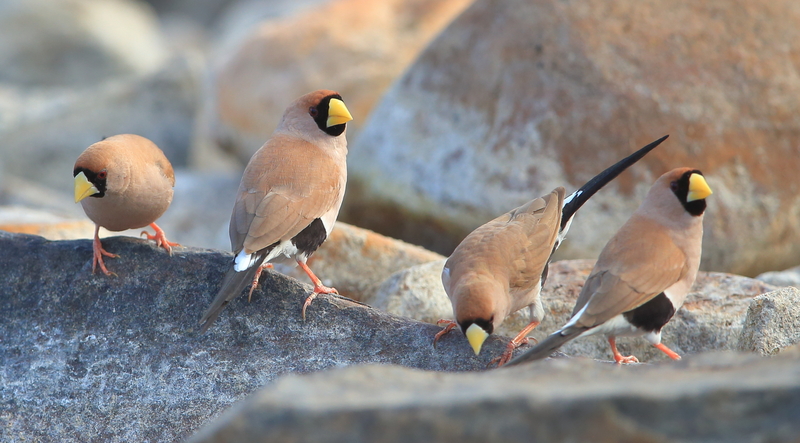 Rare Finch Conservation Group, Nedbank. Account number 1933 198885 Branch : Sandown 193 305 South Africa ( For international donors please add ) SWIFT NEDSZAJJ. Col Roberts to launch an exciting new coffee table book on Australian Finches. The Double-barred finch , or sometimes it’s referred to as a Bicheno or Owl finch, can be seen across a broad band from north Western Australia all the way across to north Eastern Australia. 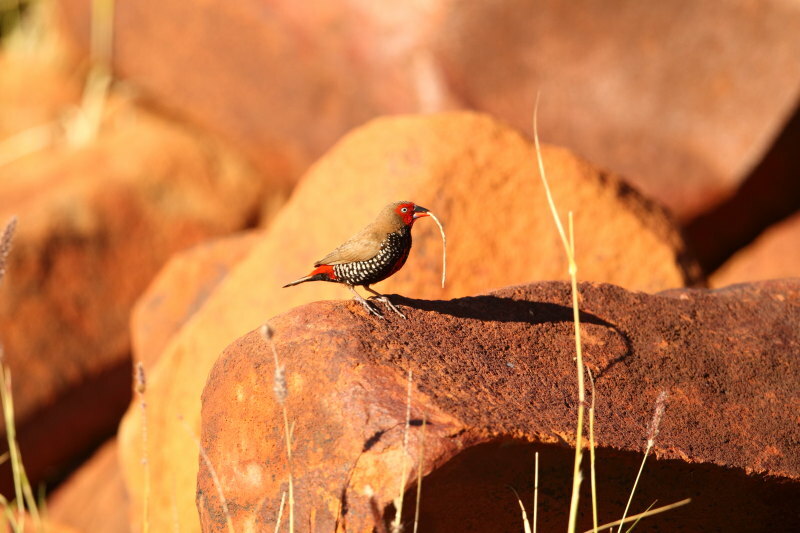 Painted finches are quite often seen on rocky outcrops in western and central Australia. 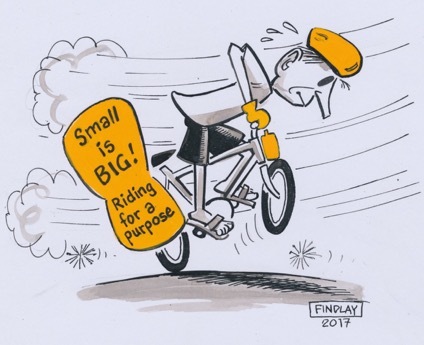 This is what Col had to say about his plans for his exciting new book. 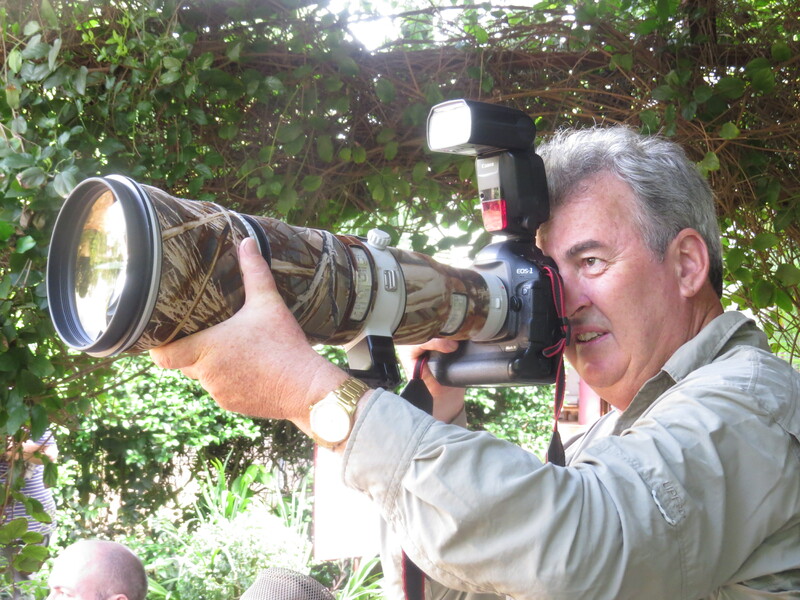 ” The aim is to produce the best finch photography book primarily with anecdotes of my observations in the wild. It is not a scientific book or one containing a huge amount of text. I want to let the photos do the talking.It will be a high quality book with over 300 pages of stunning images. A lot of the photographs will show behavioral scenes such as feeding on seed heads, young etc. 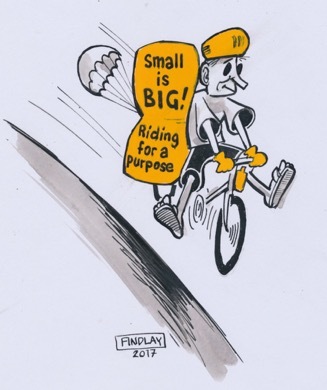 The book is about two years away and is scheduled for publication late 2017 / 2018.” The good news is that Col will be donating a percentage of sales to the Rare Finch Conservation Group. 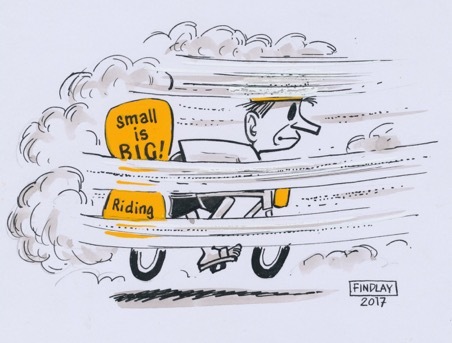 If you are possibly interested in putting your name down for a book please contact him at 1roberts@tpg.com.au and let him know that you read about the exciting news on our RFCG blog. At this stage it is still too early for him to give any idea on what the final cost will be. This book will undoubtedly be the definitive photographic book on all the Australian Grassfinches and Mannikins. Col Roberts by profession is a magistrate and a full member of the Rare Finch Conservation Group. 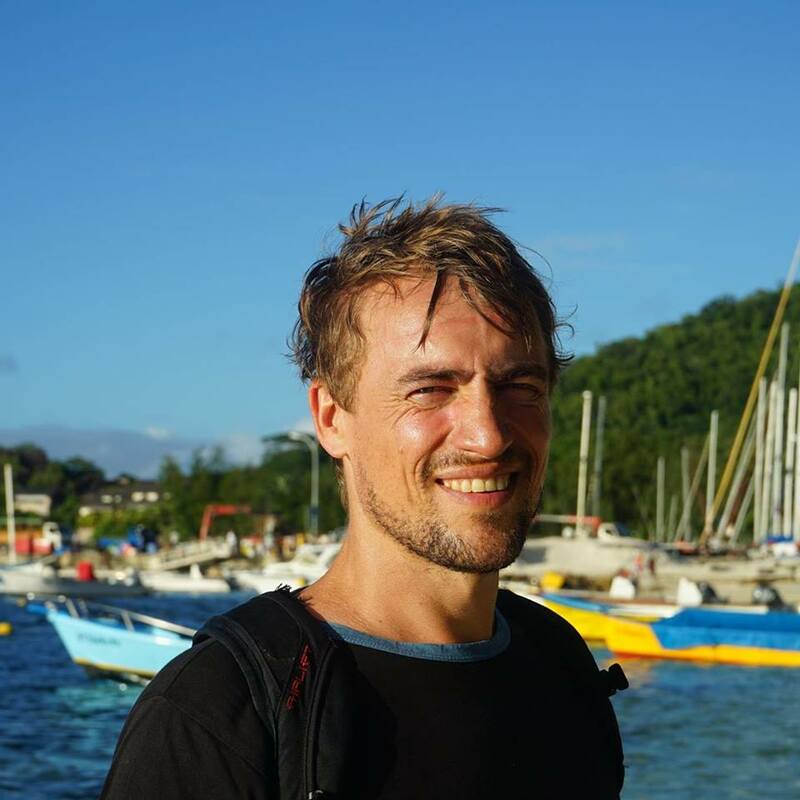 We thank him for supporting the group with his brilliant photographic work. 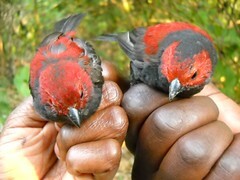 Keep connected with the RFCG's finch-rich content and Shelley's Crimsonwing fieldwork by subscribing to our email updates. Note that you can unsubscribe at any time (this is not a spam service). 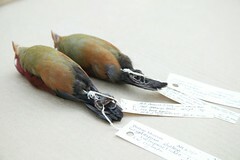 All content on this blog is owned by the Rare Finch Conservation Group (RFCG). We encourage our readers to distribute any information that will aid our efforts in wild finch conservation.